Home / Koi Show / Great results at Worthing Koi Show! Great results at Worthing Koi Show! Another show, and another set of great results for a customer exhibiting their Adam Byer Koi! You may remember my blog back in June, about Andy Watson who took some Byer Kohaku's to the South of England show and did rather well! He's followed up by exhibiting at the Worthing Koi show this summer, and he's just let me know about his results, which includes another set of great performances with the kohaku's he's bought from us. He took 4 Adam Byer Koi in total, including 2 x size 3 kohaku's , 1 x size 1 kohaku and 1 x size 4 kohaku. Not only did they all place well in their size and variety class, but they all also placed in their size overall too! 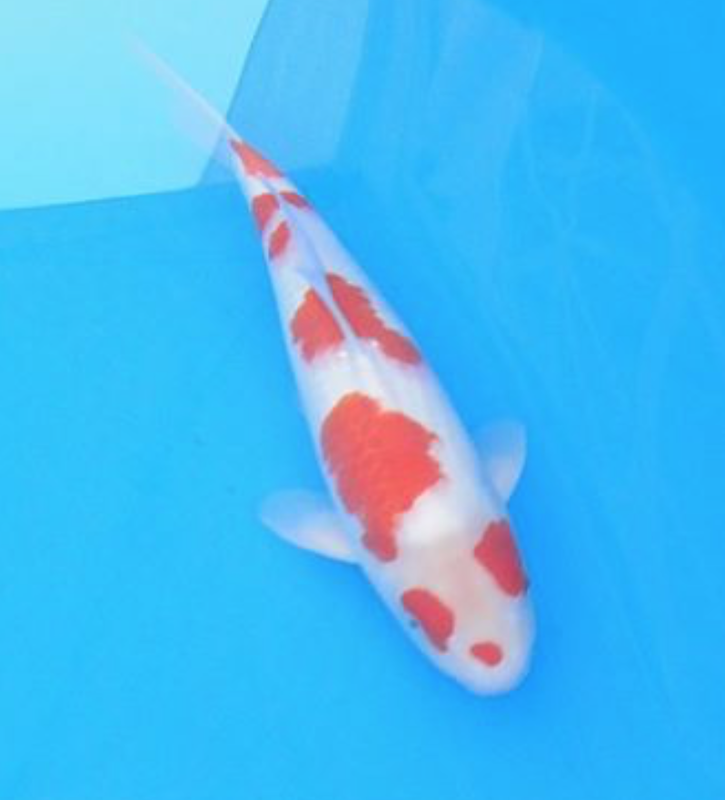 Placing in size overall, means they are competing against all the varieties in that's koi's size, which basically means far more koi in the running and best in size overall awards are really tough to achieve. So, Andy winning 4 such awards is just brilliant. 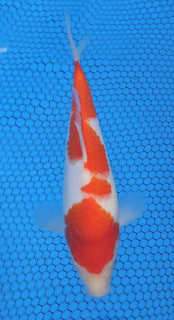 The size 1 came first in size 1 kohaku, and first in size 1 overall, across all varieties. 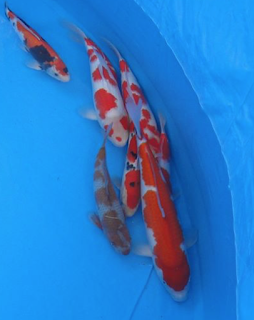 The 2 size 3 kohaku's came 1st and 2nd in size 3 kohaku, and 2nd and 3rd in size 3 overall, across all varieties. And the size 4 came 2nd in size 4 kohaku and also 2nd in size 4 overall - tantalisingly close to a young champion award. Andy had other great awards with the other fish he took, including the Baby Champion. And we congratulate him on all his awards. This is one of his size 3 kohaku's. A group pic of his vat, with his size 4 Byer Kohaku at the bottom of the picture. This size 1 kohaku came first in size 1 kohaku and size 1 overall! And, it was a great selection by Andy who picked this up from our range of 2018 tosai.